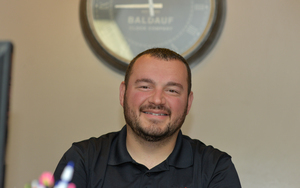 The history of Baldauf Auto Body begins over 30 years ago. 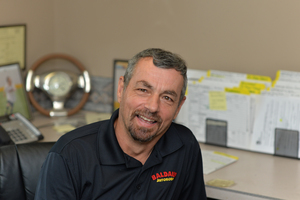 In 1984 Terry Baldauf started Baldauf Auto Body in a four bay, 1,000 square foot garage. He was immediately committed to providing only the best auto services around. Over the years the community has realized the automotive magic happening in Butler, PA and supported his business. This support is what has allowed the Baldauf name to become so well known. This reputation of hard, trusted work is what has allowed us to continuously grow for the past 30+ years. We are proud to now have the 11,600 square foot auto body repair powerhouse auto shop it is today. 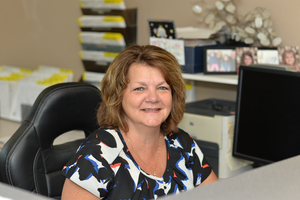 The family business started by Terry Baldauf, later being supported by Pam, Ryan and Brent Baldauf, is more than excited to have you join our customer family. We know that even with excellent services, we would be nowhere without the support of our community. We are more than happy to be delivering expert auto body services to the Butler, PA and surrounding areas. 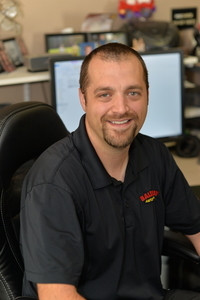 The community now knows that when it comes to auto body repairs, the Baldauf name is one to depend on. We have continuously been able to help our community and love cars we have repaired rolling around the streets. We are comfortable in delivering our services to all makes and models and know that no matter what rolls into our garage, it’ll be given nothing but quality care. Come to check us out today at our shop located at 59 Pittsburgh Rd Lyndora, PA 16045, give us a call at (724)-283-5554, or reach out to us online. No matter how you contact us, you’ll be treated with honest respect and automotive expertise. Our company repairs more than 700 vehicles a year with our well established clientele, and we are always welcoming more! Our facility is conveniently located in Butler on Route 8 South between the Main Street and Hansen Avenue bridges. At Baldauf Auto Body our guarantee is to provide quality minded customers with the highest quality repairs in the industry. Our professionally trained customer service representatives and certified repair technicians deliver unsurpassed performance and guaranteed repairs. Our Technicians are trained with the most high tech, up to date repair methods in the automotive industry through PPG, I-CAR, ASE and AMI. Our modern facility and state of the art equipment is capable of restoring ANY vehicle back to pre-accident condition, while retaining safety and appearance. Knowing that we would not be where we are today without our community, we make it a point to give back to our community. We believe that you get what you give and have always worked to keep this balance. We initially delivered quality services and have since then been receiving a great number of recurring clients. Now that the community knows about our services, we like to go the extra mile and support the activities within our local Butler, PA community. We do this in a variety of ways such as sponsoring local Butler school sports. We have also become members/sponsors of organizations such as the Butler Downtown Association and Helping Butler County. These are just a few ways we like to give thanks to our beloved community for giving us the opportunity to deliver premium auto repairs. We love providing these services and look to continue doing so for a long time. We love the feeling of giving customers their keys back knowing we performed with complete professionalism and expert care. Here at Baldauf Auto Body, our highly trained technicians are waiting to help you receive the vehicle care you deserve. Come see us today!